The original version was printed in the May 6th Edition of the Citizen News, serving Sherman and New Fairfield, Connecticut. Invalid “experimental” testing with extremely high predetermined failure rates. Bill Gates and Microsoft. Pearson Publishing. Google. For-profit, corporate stakeholders set to make billions off education. Data mining. Federal Government control. Labeling children for life. 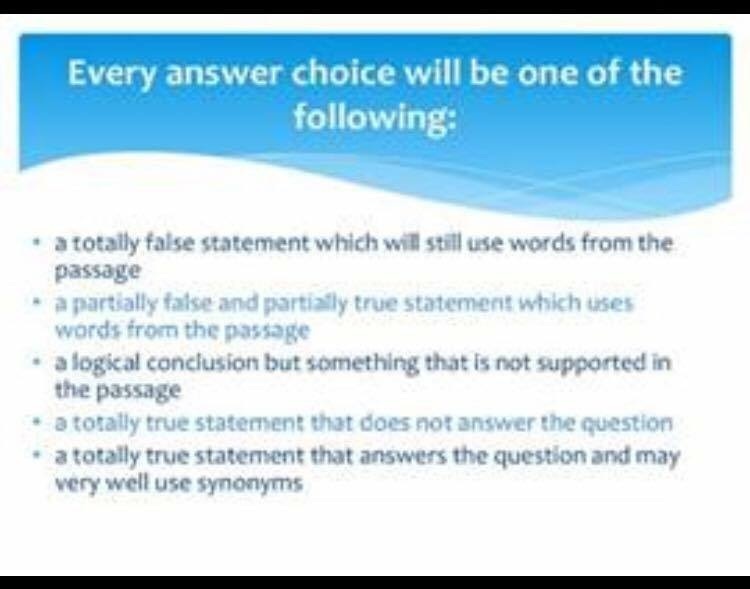 These powerful, negative words are only some of the reasons why 40% of Sherman School parents have refused their Grades 3 through 8 children from taking the new Common Core Smarter Balanced Assessment Consortium (SBAC) exam. Dr. Michael Pascento, Sherman School Principal, confirmed this updated statistic last week. For the parents who refused the SBAC test for their children at the Sherman School, they are far from alone in their opposition and are part of a growing movement across the Nation. The exact and current refusal rate percentage in Connecticut, and in other states, is unknown because the testing is not complete. However, several schools, towns and states across America continue to make the headlines with their high, preliminary opt-out numbers. Critics deem that New York’s refusal numbers are much higher than other states, such as Connecticut, because New York is one year ahead with implementing Common Core and aligned testing. They also assert New York parents are more informed and have experienced firsthand the myriad of Common Core’s ill effects and are reacting in unprecedented numbers by refusing the test for their children. Why is Sherman’s Refusal Rate So High? For someone who does not particularly enjoy the limelight or public speaking, one can hear her voice Common Core concerns at the Sherman Parent Teacher Organization (SPTO) and Board of Education (BoE) meetings. She also organizes educational information sessions and will drop everything in her already hectic schedule to speak with parents about why Common Core is detrimental. Before trying to understand the particulars of why there is a high SBAC testing refusal rate, one should first understand what Common Core is all about because the premise of the SBAC test is to be “aligned” to the Common Core State Standards. Investors of Common Core, like Bill Gates who is its biggest financial supporter outside of Pearson, explain that the United States education system is flawed and test scores lag behind other countries. Their solution is a “transformation” of our education system. This means the new Common Core standards with aligned curriculum, and testing. As for the development of the Common Core Standards, the Bill and Melinda Gates Foundation, Pearson Publishing Company, and the Charles Stewart Mott Foundation were, in fact, some of the big non-government and non-education contributors. In January of 2013, she learned the school was going to get a “very expensive computer testing system” in the coming year, but had no idea what that meant. Then, in June of 2013, she made the Common Core connection with the computer system. “A friend shared with me what Common Core was all about and how detrimental it was to our children’s education and to our country. This is when I made the connection; that very expensive computer testing system was the SBAC test,” she stated. Zeitler then began to ask leaders in Sherman about Common Core. To her surprise, “nobody really knew much about it, although the schools had been transitioning to Common Core a few years prior. I think that school systems all across Connecticut ‘did what they were supposed to do’ and did not realize the full scope of how Common Core originated, its purpose, and what its outcome would be. Common Core was adopted by the majority of the States before Common Core was even written,” she said. As Zeitler came across Common Core information online, such as documents and video and audio clips from experts, like Anita Hoge and Jonathan Pelto, she began to share her findings with the BoE and the Administration in the fall of 2013. Ever since, she provides Common Core information and legislative updates via email to Sherman and New Fairfield parents, teachers, and BoE members. In June of 2014, Zeitler and her team also organized a well-attended event that brought in local experts from across the State to speak at a Common Core Informational Presentation, and “this contributed to the larger number of informed citizens and the higher refusal rate percentage in Sherman,” she stated. “There is also a predetermined 60% to 70% SBAC test failure rate and it is even higher; a 90% failure rate, for special education students,” she said. As for the failure rate for English language learners, it is also extremely high. The SmarterBalanced.org website publishes this kind of failure rate field test data. For instance, Grade 6 non-native English speaking children have a 95% failure rate. “The actual cut scores, or failure rate, were approved by Connecticut and other States at a November 17th SBAC meeting in Olympia, Washington. The predetermined failure rate is obtained by testing the students with age-inappropriate material, questions that have more than one answer, questions that are vague in what they are asking, etc…” she explained. “No exam in life has such high failure rates, so why do we want to expose our children to this unfairness and stress for an unproven exam that sets up most of them to fail, and thus shows that there is another agenda behind the test?” she said. “For me, refusing the test is not only about my daughters not taking the harmful, unethical test, but it’s also about saying NO to ALL of Common Core, which encompasses much more non-education pieces than one can imagine,” she said with resonance. “Companies, such as Google, that support Common Core are also setting themselves up to make billions of dollars by rolling out new testing materials, copyrighting a new way of doing math, creating new curriculum that aligns with the test, coming up with new training materials and programs, selling brand-new technology, and data mining the children’s private information, etc. When the schools buy into this they do not always realize they are just setting up the framework / infrastructure for deceptive Common Core,” she stated. “Right now, education technology companies boast 10,000 data points per child, per day, more than Google, Netflix, or Facebook. Common Core uses our children’s mined data in a ‘decision-making’ model to determine our children’s careers for them by Grade 6, similar to what China does. Why do we want to be like China? They have the highest rates of testing, China wants to learn from us, and now we are becoming like them? This decision-making model is clearly abusing children’s private information. This is different from mining adult data because the information is not used to shape the future of adults,” she said. “To make matters worse, our children’s medical records collected by schools are also non-exempt. Parents often think the Health Insurance Portability and Accountability Act of 1996 (HIPPA) protects them but it does not because their ‘educational records’, including IEP’s, 504’s, and future school health clinic data, now fall under the Family Educational Rights and Privacy Act (FERPA), not HIPAA. In other words, FERPA was gutted, so now this data is allowed to be accessed,” she stated. Zeitler firmly believes this grand experiment “limits children’s full potential, stifles their growth, and creates unnecessary stress. Common Core is unacceptable. I am spreading awareness to quicken the return to purposeful academic education for our nation’s children, teachers and schools, at a local level” she stated. Zeitler strongly believes that Common Core is not about bettering education. “It is a fact that educators did not advocate for this. Instead, it was a corporate / government initiative. I believe we need to know the full picture, so we know the history, purpose, and outcome of Common Core. It is a repackaged education agenda that was decades in the making,” she stated. “For parents who don’t know much about Common Core, please research online and find out what is really going on so you can make a difference for our children. There is so much information out there for your review and the information can be overwhelming but extremely eye-opening,” she stated. Available for comment was Dr. Michael Pascento. “The procedure for parents to not have their child take the SBAC Assessment is called a ‘refusal’. Parents submit a letter to the school stating their refusal right and the student is not entered into the assessment system.” As for the students who are not taking part in the assessment they “were / will be assigned to a teacher and an alternative academic lesson takes place during the assessment period,” he stated. Sample Test Rate Failure Results in Connecticut: No, the Common Core SBAC test is not like a blood test. Printed in the May 13th Edition of the Citizen News. “One of my biggest concerns is that it appears the tests are written at a level that is three to five grade levels above the child’s academic level (children in the 3rd grade are tested using materials that are at a 6th, 7th or 8th grade level). In my own research, I also found a sample elementary level question where I could not choose the correct answer choice, even though I knew the actual answer to the question. 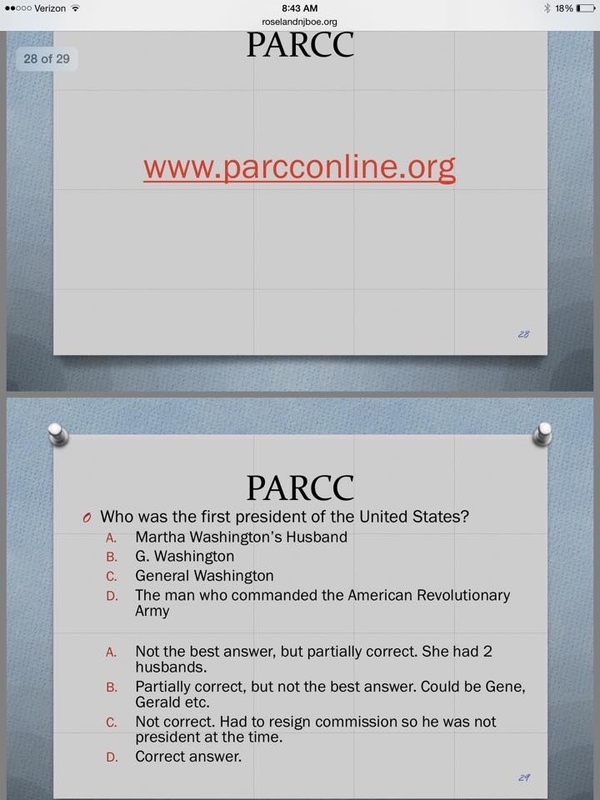 Furthermore, it appears that the test designers purposely have created questions with ambiguous answer choices to test the children’s reasoning and critical thinking skills, however I would argue that the depth of knowledge that is required to reason out the answers makes those type of questions all but impossible to answer at the elementary and middle school level. This is very upsetting to us because it seems to support the notion that the tests were in fact designed for the children to fail. It seems like an unnecessary amount of stress to put the child under for something that doesn’t appear to truly evaluate the child’s mastery of the subject matter. We are all for high standards, critical thinking, and rigorous curriculum, as long as it is presented in a developmentally appropriate way. “I believe it is very important to support my child’s teachers and my child’s school, by being involved in my child’s education. Local control of public school is slowly eroding. As a parent, it now comes down to, what can I do? So, I write and phone my state representatives and I sign petitions. If I see curriculum that is age inappropriate or wrong- in any sense of the word, I speak up. Most importantly, I REFUSE all computerized Standardized Testing for my child. As Common Core is all about the testing, and is turning K-12 education into a profit generated enterprise, using tax payers dollars to fund it. There is an entire industry built around the copyrighted curriculum, the manufacturing of this curriculum, the cost of each test, and the grading and preparation of these tests. All of which generates millions of dollars in profit. “It seems the assessors need to be assessed! Standardized tests are created for assessors to assess with the least amount of effort, thus putting the yolk on teachers, and ignoring the peripheral abilities of students.